Are you looking for the best construction contractor in Southampton? Then get in touch with Acorn Building contracts today. No matter if the project is big or small, our expert team have a wealth of experience in a number of building works. With our professional team and competitive prices, you won’t find a Southampton construction contractor better than us. At Acorn Building Contracts, our construction contractor in Southampton offers a comprehensive service that is tailored to you. We will work closely with you to create bespoke designs for your project. Whether you want to undertake a small project or a full renovation, our diversely skilled workforce have the skills and equipment to achieve your dream construction. We provide a FREE consultation visit to your property or commercial building in order for our construction contractor Southampton service to truly understand your vision. One of the most common projects our construction contractor in Southampton works on is loft conversions. These have become increasingly popular due to being an easy way to add extra space in your home on a budget. You can turn a loft into anything from a bedroom to a study or lounge, and when you choose us as your Southampton construction contractor, we will take care of every last detail. If you’re unsure what loft conversion is right for you, you can read more about these designs here. We know that renovations may seem daunting, costly and time consuming, but at Acorn Building Contracts, we want to make sure you have a hassle-free experience. We will take care of all planning permission and building regulations, as well as provide a full itemised quotation service so you are up-to-date on the process every step of the way. 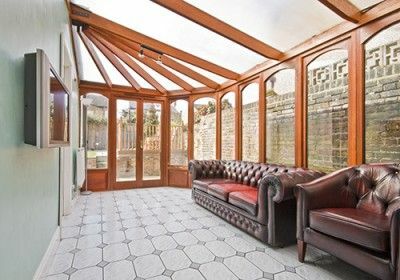 A home extension is a great way to create more space in your home without the effort and costs of moving to a new property. Whether you want a new kitchen or bigger bedroom space, our construction contractor in Southampton can create an extension that is functional and complements the current aesthetics of your property. Our extensive home extension service is a process that our construction contractor in Southampton takes very seriously. We always like to keep our customer as involved in the process as possible to ensure 100% satisfaction on completion of all works. We will provide samples of all potential materials so that you can choose your favourite ones that will really bring your vision to life. Our expert team endeavour to help you get the most out of our construction contractor Southampton service which is why we provide honest and impartial advice about how to utilise your space and recommend the best windows and doors for your extension. At Acorn Building Contracts, we are the leading specialists in kitchens tailor-made to your tastes and budget. We can take care of absolutely everything from the demolition of your current kitchen, to installation of all fixtures and fittings. Our specialist designer and Southampton construction contractor will sit down with you to draw up the initial plans for your brand new kitchen space. If you are a budding chef or have a big family home, then the kitchen is an extremely important room. Our team of professionals want to create a space in which you will enjoy cooking and can become a statement feature of your home. Many potential buyers these days look for a big kitchen in their criteria, so investing in a bespoke kitchen from our construction contractor in Southampton will guarantee to increase the value of your property. The team at Acorn Building Contracts has over 25 years’ experience in all things construction, and we pride ourselves on exceptional customer service from initial quotation through to the finishing touches. All of our work is carried out by a trusted and fully qualified construction contractor in Southampton, who are approved and accredited by Checkatrade.com and have full insurance for your peace of mind. If you require any of the above services or are not sure what our construction contractor Southampton service can do for you, then give one of our team a call and we will be happy to discuss your project in further detail. Additionally, check out our gallery for inspiration from our construction contractor in Southampton. For the best construction contractor Southampton has to offer, get in touch with Acorn Building Contracts today. Call us on 02380 243336.